14 pt. cardstock is affordable yet durable enough for full color print marketing materials. Use this all-purpose cardstock for business cards, postcards, take out menus, hang tags, event tickets, and more. The UV coating on the front only gives you a shiny appearance for first impressions, and won't get in the way of when you're writing on the back of the card. 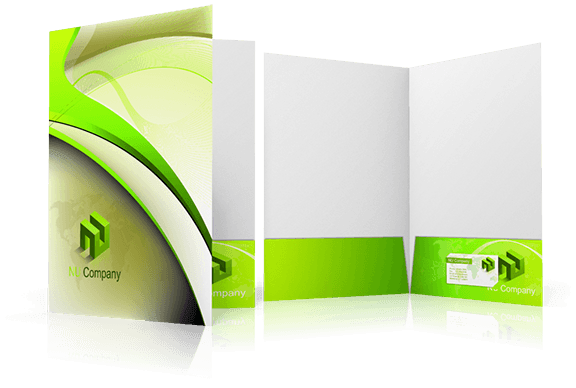 Presentation folders are the perfect way to create spectacular looking presentations. With 2, 4" pockets, and option of Business card slit(s) on one or both pockets, you can rest assured that your presentation will look great. 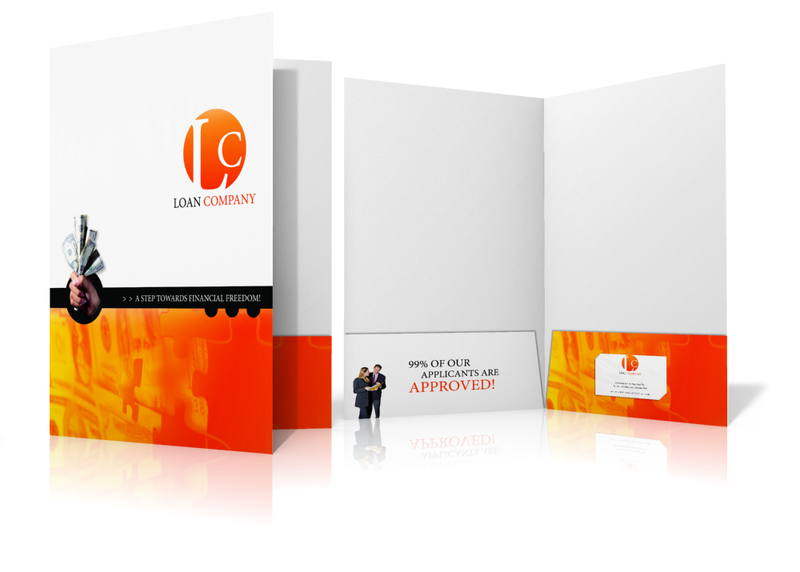 Our presentation folders are printed in full color on premium 14 or 16 point card stock. You can choose a UV Coating on one or both sides or a matte / dull finish. 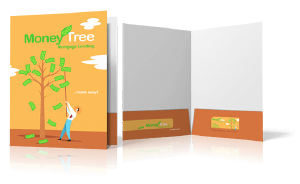 Your presentation folders will look professional every time. And with our low prices, you won't have to spend a lot to get a lot. Let PrintFirm.com handle all your printing needs. We are here to help make your job easier.